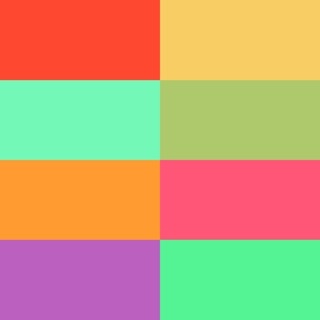 Melodist, a magic music app that composes a unique melody for every single photo. 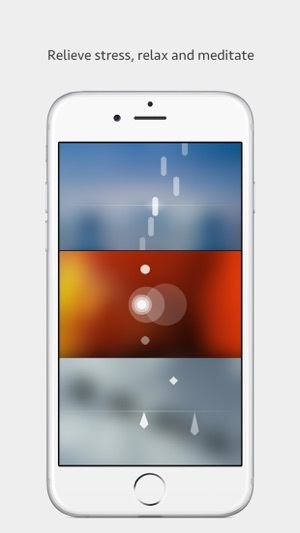 By analyzing the changes in hues, saturation and brightness, Melodist generates the mode, scale, chord progression and melody automatically, turning every photo into a piece of beautiful music. 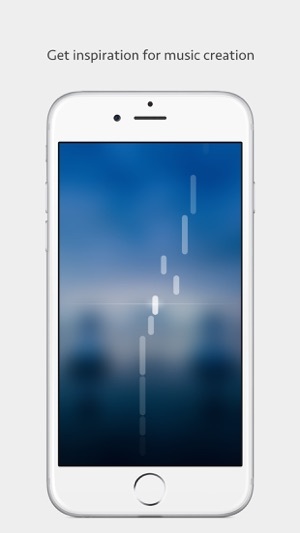 Elegant animation carrying the emotion of the music is also displayed when playing the music. Combining image, music and animation, Melodist creates a brand-new multimedia art form. 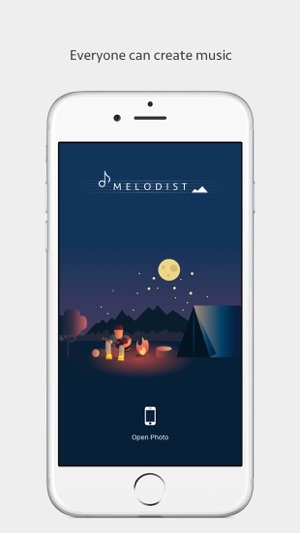 Melodist helps you get incredible inspiration for music creation, allows you to relieve stress, relax and meditate. 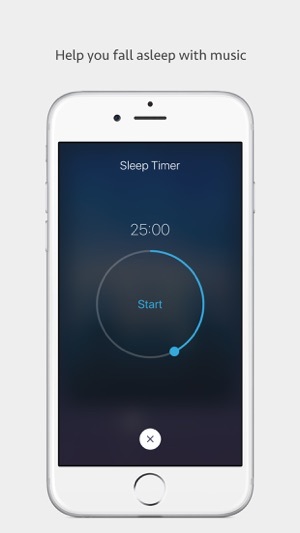 It also includes a sleep timer which can help you fall asleep with music. First of all, make the picture not blurred out in the background of the song, or at least have an option to do so. It's quite annoying not seeing what the picture the song is based off of in the videos. Second, have some mode where you can see what part of the picture the current notes are coming from (I'm assuming that it progressively moves across the screen when playing notes, but I could be wrong). It would be very interesting and helpful to see what aspects create what notes, and some people could even use that knowledge to create images made to generate specific songs. Third, a "playlist" of sorts for you to listen to a variety of songs on a loop instead of just the same one. You could even have a setting where it goes through your whole camera roll. Lastly, have some different song modes other than just the "zen" sort of song (e.g. rock, classical, techno). 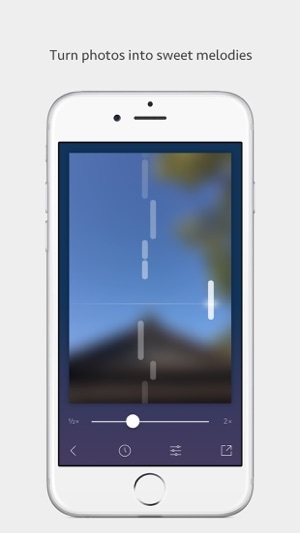 The app is very basic right now but it is also very new, so I am glad to support it and curious to see where it goes! Keep up the good work! Wonderful idea! But don't purchase the extra sounds! Music means a lot of things to a lot of people. The same can be said about photos. This app brings both of those concepts together in a way that is unique and poignant. There is a lot to be said about knowing that a picture of a loved one or of a special place can be turned into music that is beautiful and often calming/relaxing. I love this. 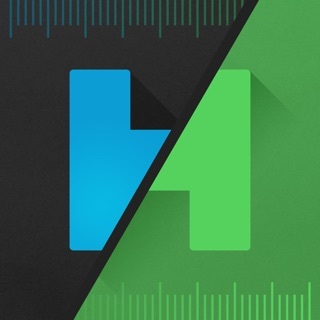 However, for those of you who like what this app does, I recommend you hold off on purchasing the other available sounds. In my personal opinion, the free sounds they start you out with are perfect, and you don't get a whole lot more out of the other available sounds as far as the calming and relaxing and nostalgic effects are concerned. That is my only criticism of this app. Overall, it is completely serene and lends itself toward thoughtful introspection. I was always a fan of this developer's previous music app, "Drummy". As I think that you can create some pretty crazy sounding beats in that program. I do wish that it would please be updated with more editing features like filters and especially more sound banks too, though. As for, Melodist, I have to say that I was quite impressed after my initial use with the program. So far I've only loaded my digital paintings into it, no regular photos of people or other subjects yet. And this is probably just all in my head. But, I could swear that the bizarre paintings that I loaded seriously created a more eerie and out there type of melody. I, of course, don't understand the algorithm used here to create music from images. But maybe the strange color combinations, intense shapes and stuff such as that is what seems to me to create the more bizarre tunes. I don't know, I just know I think that's it's all pretty cool. Regardless of the reason behind that, I would definitely recommend, Melodist, as something fun to play around with, relax to, get inspired by and create some neat videos and or midi files to use elsewhere. My thanks to the developer for the time and hard work no doubt put into creating and refining this program. Thanks again and God bless.